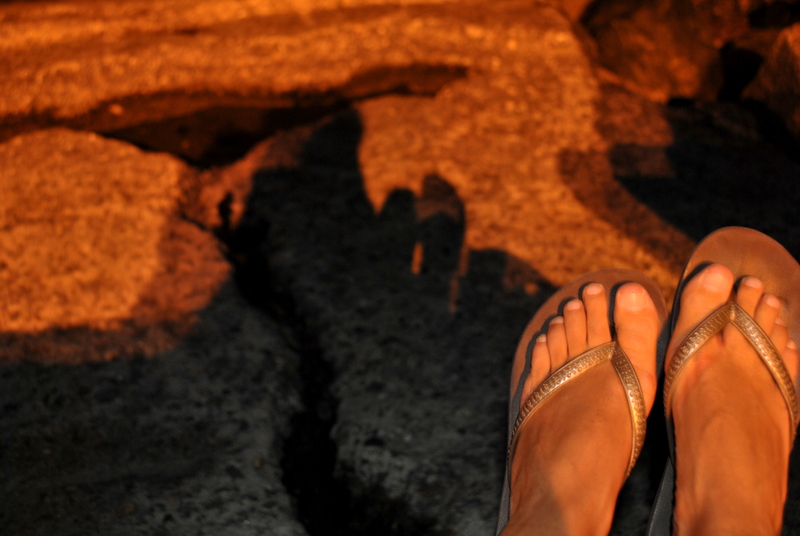 Steven and I have spent a lot of time this summer on the beach at night; particularly under the path of planes headed in and out of Logan at Winthrop Beach, where we snapped this photo of my feet and shadow on Tuesday night. Beautiful knit. Easy to work up, but interesting enough not to create coma burden, I knit up my Honeycomb Twist Hat by Joyce Yu just as the pattern called for, no modifications. More snaps when its actually hat weather. 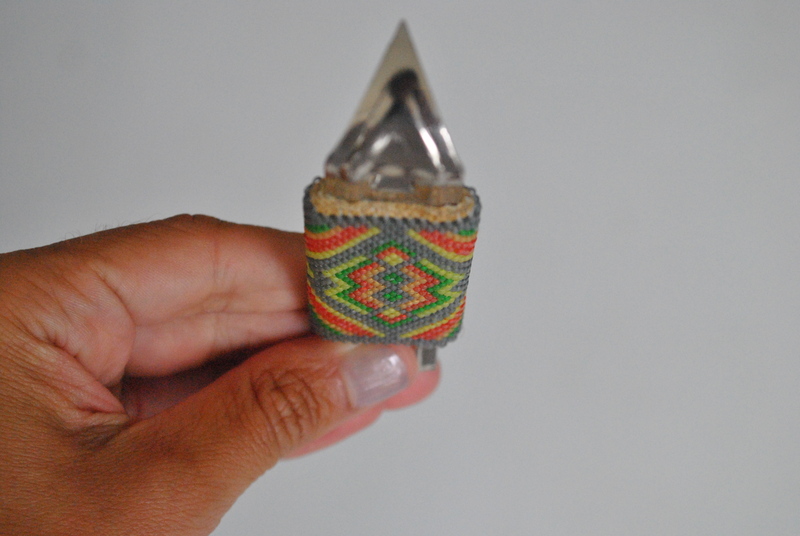 I finally finished my first peyote stitch bottle opener and I’m fairly pleased with the result so I’ve already begun designing my next one. I’m pretty sure these will make great gifts for all my beer drinking friends come the holidays. 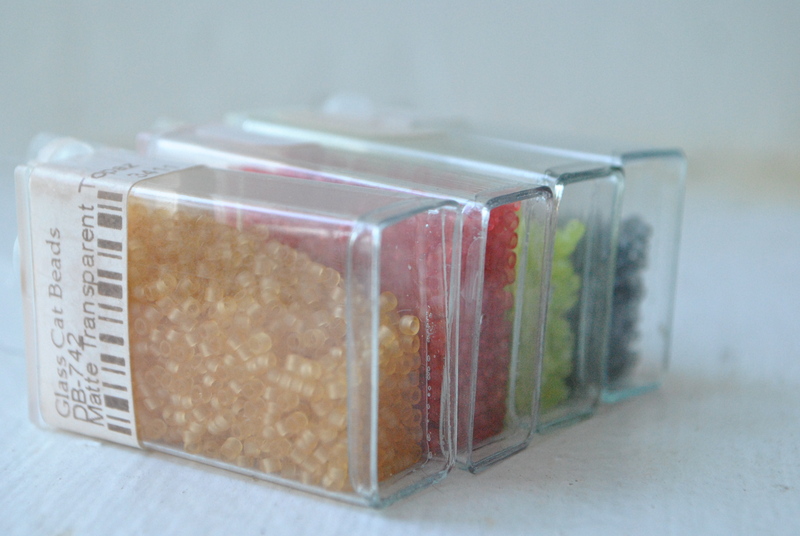 You can check out more snaps of the church key over at my beading flickr set. 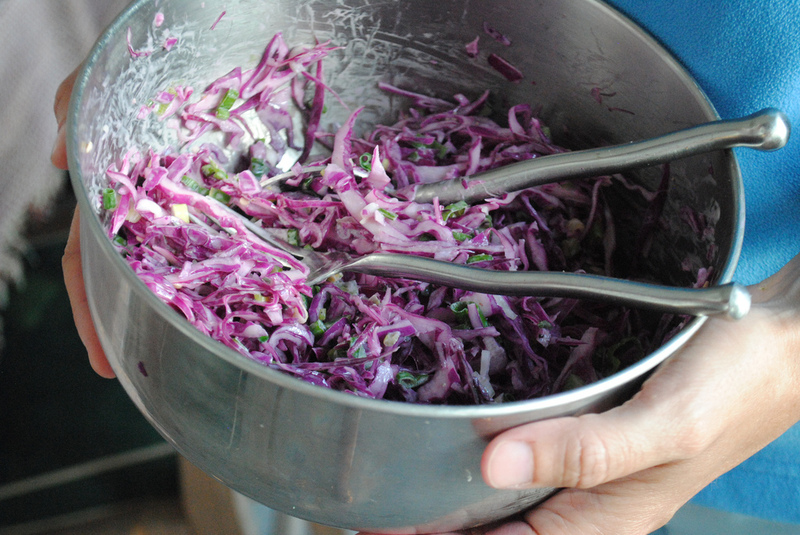 two recipe project #5, fish tacos with spicy slaw. Didn’t, unfortunately, get snaps of the fish tacos, but they were done on the grill and goddamn delicious, particularly when paired with this made up spicy cabbage slaw on the side, which was filled with jalapenos from the garden. 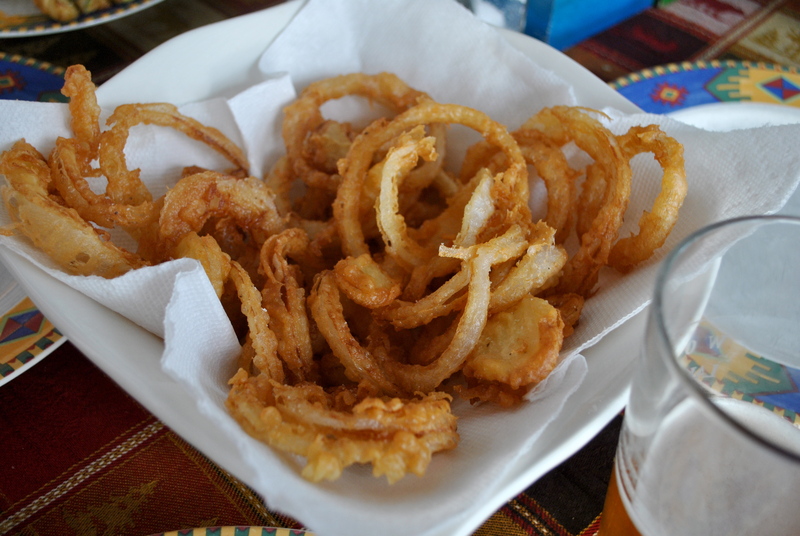 I haven’t kept to my goal-unfortunately, its been so hot many days, I avoided the kitchen all together prefering to sit at the bar of my local and let them work over the hot stove while I have a cold beer. I guess that’s what summer is all about though, right? As always, its all tracked at its flickr set, and maybe its really more of a fall project instead? Am loving it, regardless of consistency. 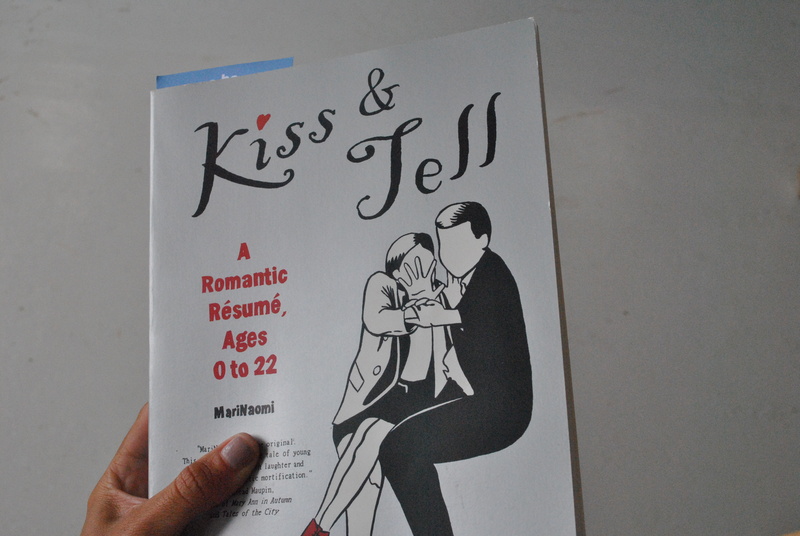 The beyond hilarious, witty, and charming Kiss and Tell: A Romantic Resume Ages 0-22 by Marinaomi. It’s such an expressive graphic memoir; color me completely smitten. 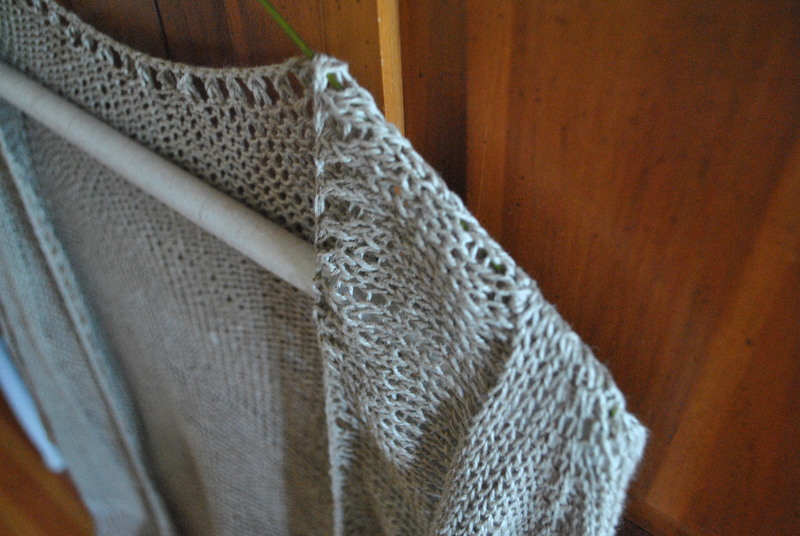 This summer, I’ve definitely been obsessed with knitting using linen; after spying the Amiga Sweater done in some Louet Wet Spun Euroflax linen, I knew I had to try it. Here’s a sneak peak at my final result. 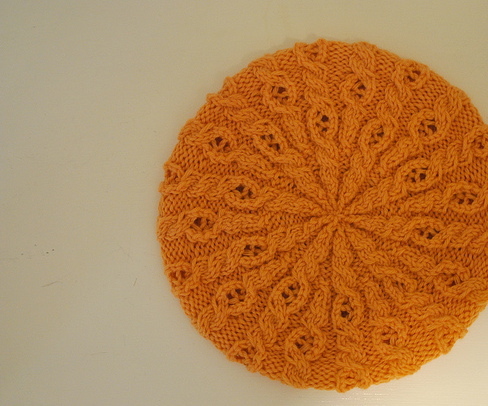 My mum adores it, so it will probably be gifted to her. I’ve already bought two more skeins of the Louet in the aqua colorway because my sister-in-law wants one of these sweaters. I used the gorgeous Lavender Knits version of the sweater as inspiration–even including her modification of eyelet details along the collar. More shots at the Sweater flickr set; I’ll take proper full photos soon. 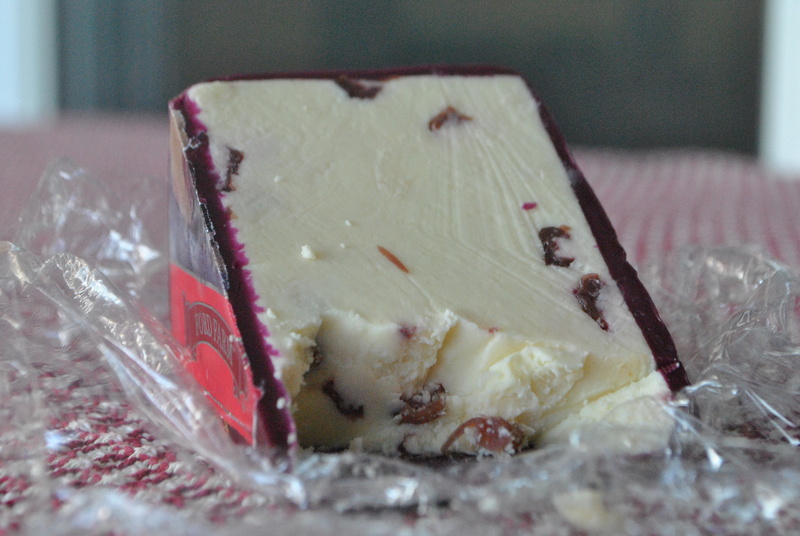 Some pretty incredible French cheese filled with cranberries. Salty and tart all at once. 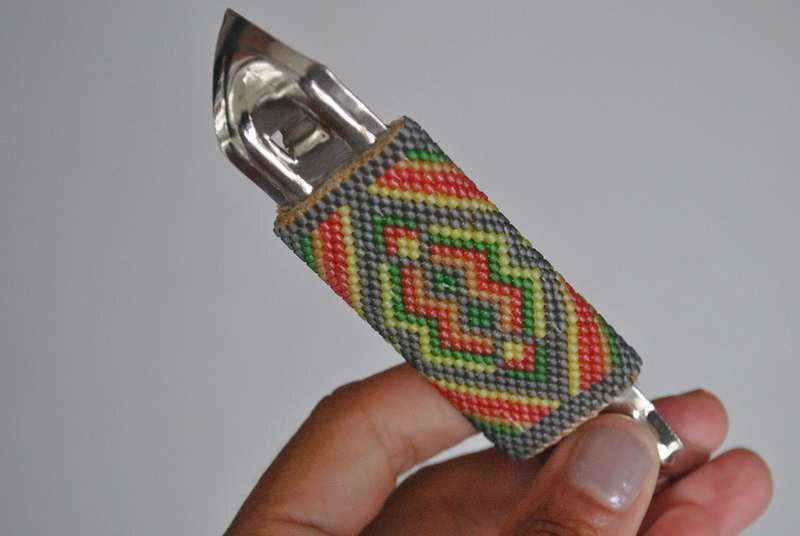 I’ve become obsessed of late with traditional peyote beading around things like pens, wine bottle openers, and the above church key, or er, bottle opener. In the true spirit of our heritage, my sister has been making these things for years, and for some reason my interest was finally peaked. 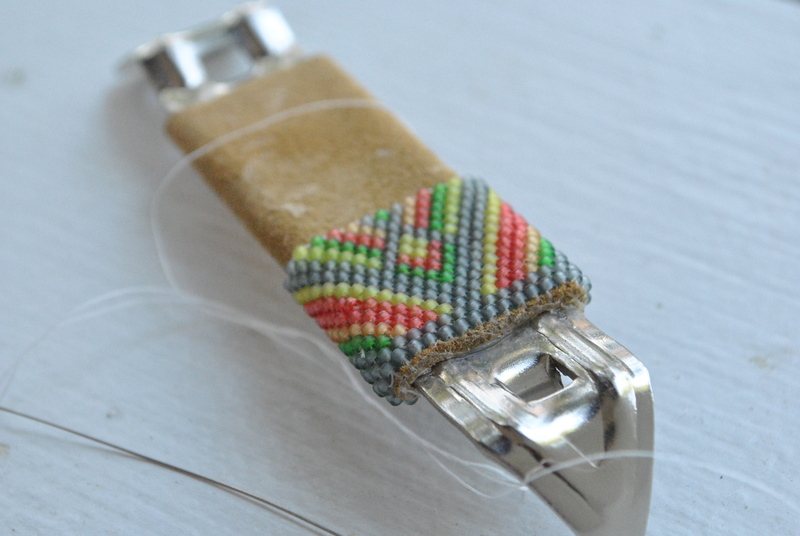 For this particular church key, I’m using a transparent style bead. 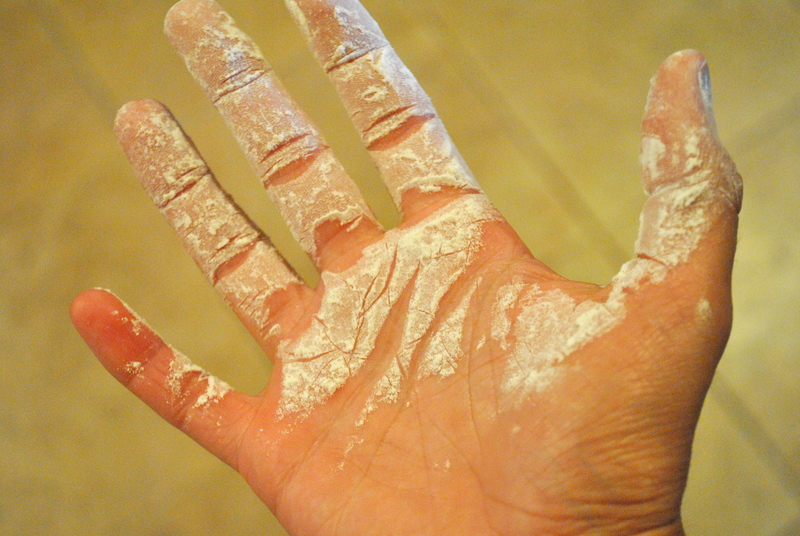 It’s a perfect hot weather activity and pattern making is quite a challenge, indeed. You can check out more snaps, and follow my progress with yet another little hobby, over at its flickr set.